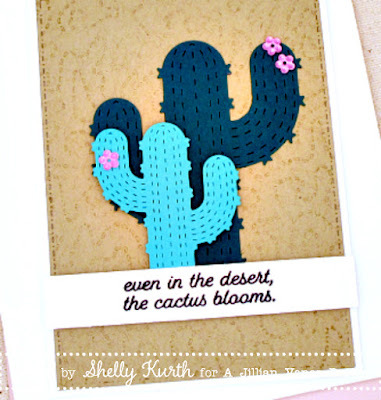 Today, I'm sharing a simple and fun card with you! I started with my background. Which I used the Meandering Stitches stamp along with a light brown ink and kraft cardstock. I wanted my background to be somewhat faint and darker in some areas, so I inked up the stamp once and stamped it on a piece of scrap paper first, then my kraft cardstock. After, I used the Stitched Dot Rectangle die with my stamped kraft cardstock. Once done, I set it aside. 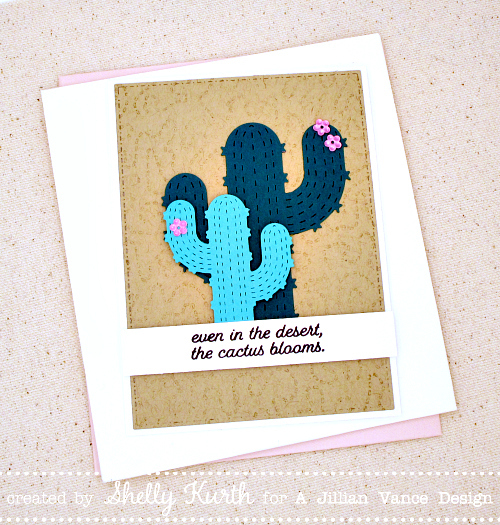 What a fun card Shelly! I love the colors and the texture you added to the background!